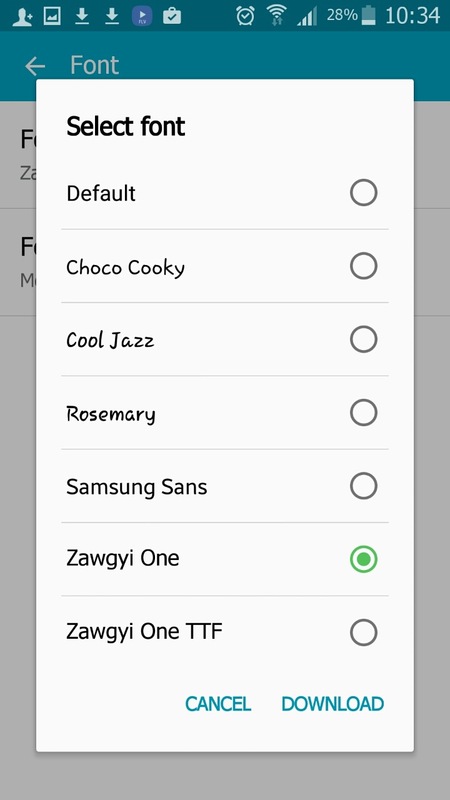 Step 2 – Install Zawgyi font from iFont Myanmar tab. You can go by tapping on MY circle icon. 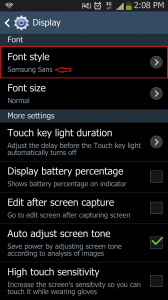 Step 4 – Change Zawgyi One font in phone setting. Settings -> Display -> Font -> Font Style. 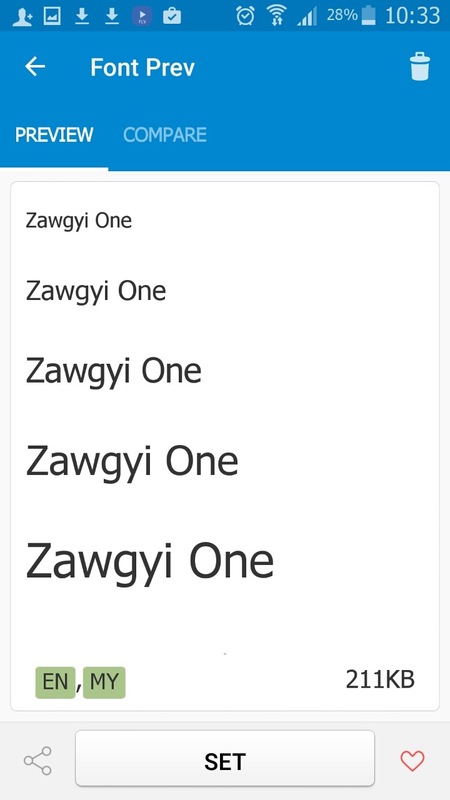 The following choose the Zawgyi One font. Zawgyi One TTF is the one that previously installed in that phone and it is not supported anymore after upgrade to Lollipop. Hope it is working for you too. Good Luck. 2.10.13 #Update : Many users is not OK in Note 3. Please read other friends’ comments for more info. Only one user success, Refer Ko Thi Han Lin’s Comment. 30.10.13 – I saw many people fail setup after update to Android 4.3. Sorry guys, I have no chance to test without device. Hope you guys found the way by Googling. Good Luck ! Thanks to all who share their info. This way iFont can set the custom font directly. 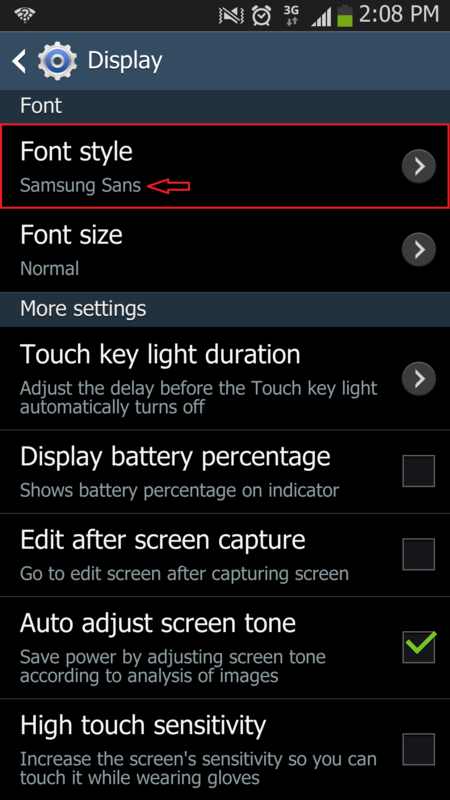 I changed font style to ‘Samsung Sams‘ instead of Default font. 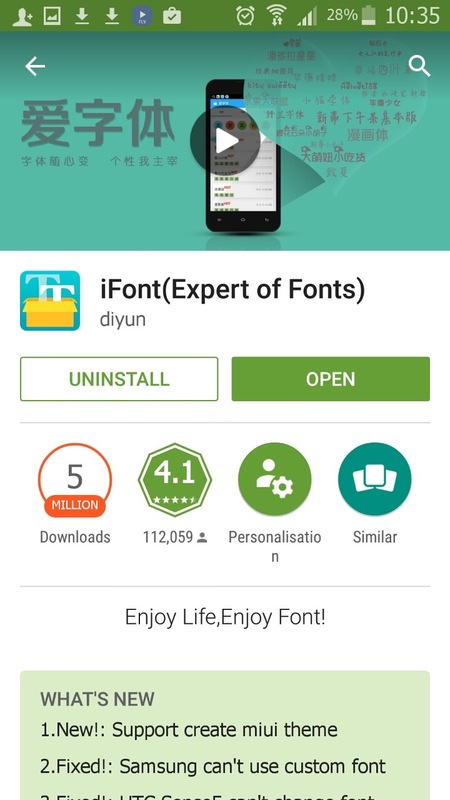 ii) Set Zawgyi under “Install” tab of iFont app. Restart required. – I only tested in S4. Note 3 user is supposed to be Ok by this way according to following reference. Pls comment if success also in Note 3.